P&L Technology, Inc. has announced that Ed Bruening has joined its company management team as Vice President of Customer Experience. This newly created position will provide value-added assistance to clients through business application consulting. He will help in evaluating their IT structures and technologies to develop effective strategies and business solutions. Bruening has a B.S. in Construction Management through the University of Nebraska-Lincoln Engineering School. He has worked in the computer and IT fields for nearly 30 years, dealing with software development, and network infrastructure and support services. Bruening owned and was general manager of another IT company in the area for many years, and was an early adopter/promoter of managed services as an effective vehicle to meet IT support needs. 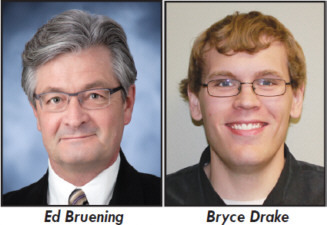 In addition, P&L Technology, Inc. has hired Bryce Drake as a Support Administrator. He will be working within P&L Technology’s Network Operations Center with its support team, providing technical solutions to the company’s existing client base. Founded in 2004 in Omaha by Phil Lieber and Andrew Embury, P&L Technology, Inc. provides cost-effective technology solutions for businesses in Omaha and Lincoln. The company’s subscription-based service addresses business technology needs through network design, monitoring and support for end-to-end computing. P &L Technology’s Omaha office is located at 4131 S. 143rd Circle. In Lincoln, the office is located at 129 N. 10th Street, Suite 108. For more information about P&L Technology, Inc., please visit www.pltechnology.com/sbl.